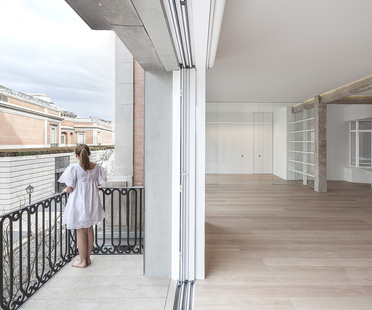 The Spanish architect Jesús Aparicio has designed a home in the old town centre of Madrid that springs from an existing building, with a privileged view of the most important art gallery in Madrid since the 18th century, the Prado Museum. 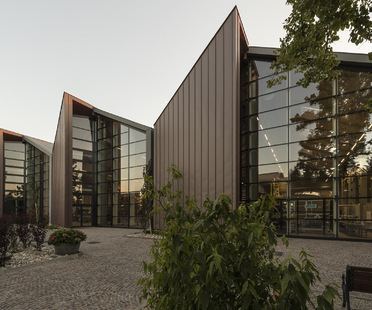 Italian studio Westway Architects has completed work on the Santa Margherita winery in Fossalta di Portogruaro, a project begun in 2008 and completed ten years later with a new bottling line that is part of a masterplan inspired by the concept of a small village. Shenzhen has a new urban landmark: recently, the new Shenzhen Energy Company skyscraper, designed by BIG - Bjarke Ingels Group, has been completed. Its pleated façade is the result of a study aimed at maximising the contribution of architecture in terms of energy performance and users’ comfort. The tower created by Chinese architecture studio URBANUS ARCHITECTURE & DESIGN is very eye-catching thanks to the lighting project by GD-Lighting Design for architecture that reaches out and interacts due to the engaging use of light poetics. WSP Architects designed the China Optics Valley Convention and Exhibition Center in Wuhan, Central China.